One simple way to decorate for Halloween is putting up a macabre and morbid wall tapestry. These are useful because they don't tear like posters. Plus, they're easy to put up and take down and reuse for years to come! Come take a look! 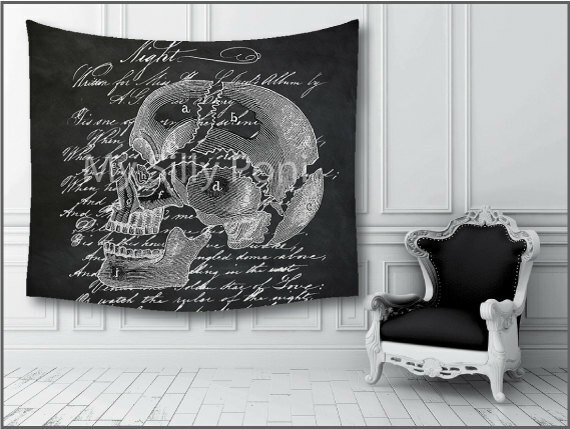 I don't think there's a wall tapestry out there that embodies Halloween like this skull tapestry. I love the antique looking script that covers the whole tapestry. 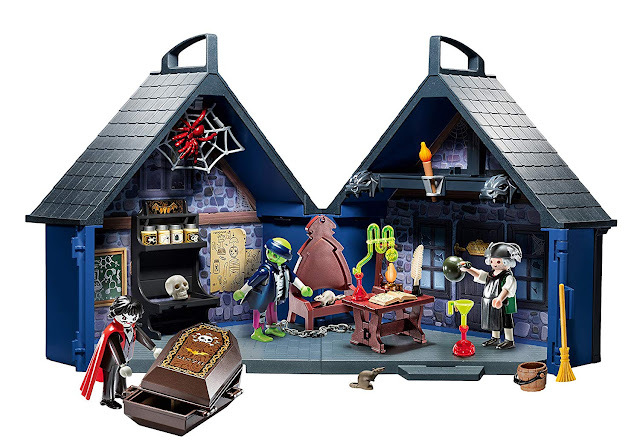 If you are goth, this is a great piece of home decor for all year around. 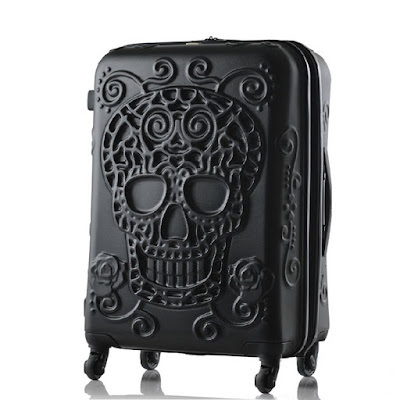 This is another great goth item! 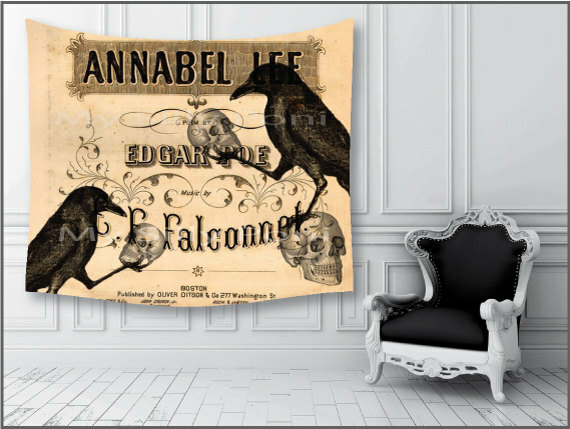 The Edgar Allan Poe wall tapestry features some of Poe's famous works. I would hang this up during a spooky story Halloween party and recite some of Poe's poetry. Who says the deep blue sea can't be terrifying? 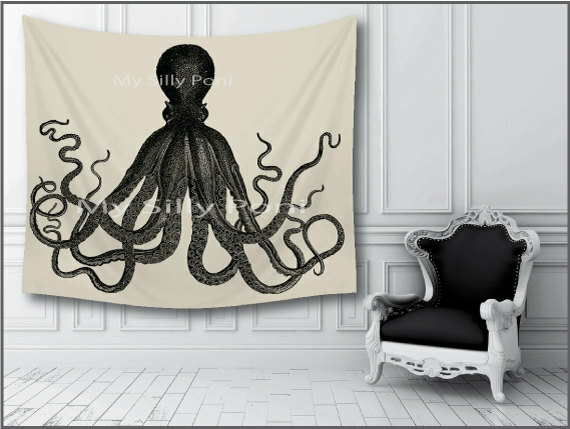 In fact, just seeing this Black Octopus wall tapestry would spook lots of people. My mind comes up with many scary creatures that may live in the depths of the ocean. 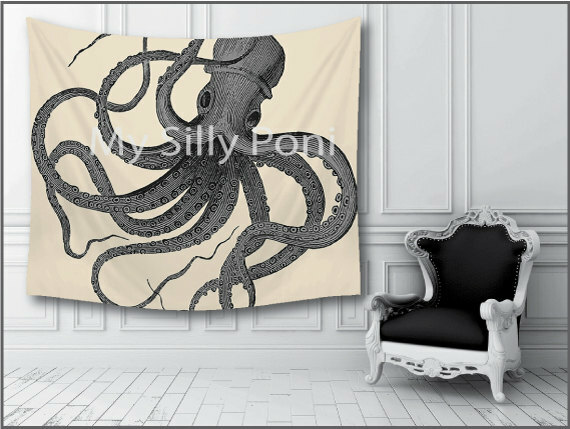 This swimming octopus wall tapestry is also really creepy. It just reminds me of Cthulhu with all the tentacles everywhere. It's hard to not stare at those black and beady eyes. How do you feel about hanging some creepy wall tapestries up for Halloween? I really like them hanging on the ceiling like flags or even like a tent. Come take a look at more and comment below!